What, one asks is the point of rehashing up evidence from a case that was closed a long, long time ago? Why do people, including myself still seem confused as to what really happened those two nights in August, 1969? Will anyone, other than the perpetrators, and their friends find out the truth, once, and for all? I do hope so. Sometimes I find myself feeling guilty for even being interested in such human tragedy, but on the other hand find myself pissed off that the actual killers still haven’t divulged the TRUE sequence of events. So, as it turns out, I was (Internet) visiting Cielodrive.com, which is a really good site, and came across some photos of the Cielo crime scene that reminded me of the posting I read a while back about if/when Manson & friends returned to the scene. 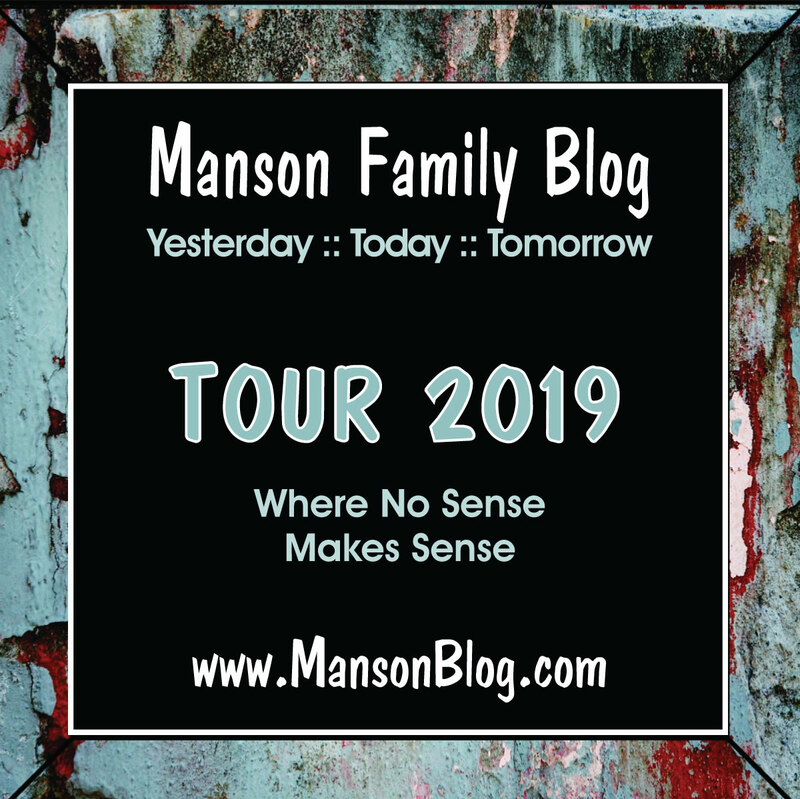 I have never thought Manson would of been that dumb to place himself at the scene of the crime, when he didn't even go with them the first time around. Of course, Manson has never been a suave, smooth criminal. He always got caught, no matter what! Anyway....something caught my attention in the photos. In the first crime scene photo, you are shown the living room area during the investigation. You can clearly see where the rope is hanging from the beam. This blood evidence is clearly not making sense with what the killers stated happened. Yes, I know the killers are/were liars of the most devious kind, but I ask myself "Why would there be blood on THAT particular beam, if the rope to "hang" them was the beam closer to Jay Sebring's body?" Did they move the rope after they had begun stabbing? Watson was stabbing wildly at Voy in that area of the living room, could the blood have flew off the knife while Watson was swinging it ? I can't make out any droplets from the blood having been slung up there and it appears to be only on the bottom of the beam. Could Tex have reached the beam with the bloody pistol? Jay is shot, bleeds on the rope which is then thrown over the beam? 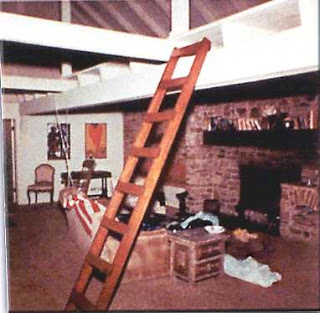 The rope was over that beam originally, during the struggle its comes free, when Atkins comes back into the living room she throws it over the beam it was found on and holds it to stop Sharon escaping ? None of the evidence slightly backs up the killers lies. We do not know exactly what happened that night, but I would bet the truth is a million miles away from the killers version of events. The blood/beam issue,it isn't a drop of blood, it is more in the pattern of a 'rope burn' This means beyond a doubt there was blood on the rope when it was placed onto the beam. Why, is anyones guess and a guess will be closer to the truth than the official version. Great post Ann- very thoughtful! I think, just maybe, We do have the sequence of events right those two nights- just don't have the right the WHY yet. Most of the parole hearing transcripts for all of them lay out pretty consistently the way things went down. I never thought myself Charlie went back- but if he did it still wouldn't have changed the way the murders happened before he got there. I had already tied Frykowski's hands behind him with one end of the rope we'd brought and now I dragged the rope over to Sebring and tied him, while Sadie tied a towel around Frykowski's wrists according to my instructions. I wrapped the rope around Sebring's neck and then slung it up over one of the rafters that ran across the room and supported a loft above the fireplace. When I started to tie the rope around Sharon's neck, Sebring struggled forward in the chair he was seated in beside the fireplace, shouting for me to be careful of her. "I told you, 'One more word and you're dead,' " I screamed and shot him. As he slumped forward onto the rug, still alive, Sharon became hysterical, but the Folger woman seemed anxious to cooperate, as if somehow she could bring sanity into the madness simply by maintaining her own control. At his last parole hearing he has now decided he does not " recall " a rope. Great observations. Very much to ponder. I am a true believer Manson and co. went back. People say Manson was a smart criminal, suave, kept away from the scenes, et al. BULLDUNG. 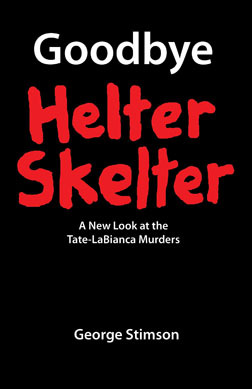 Manson made so many stupid mistakes in these killings like putting himself at the LaBianca's home. That alone shows Manson wasn't smart enough to stay away from the scenes. Then supposedly Manson was at the Shea and Hinman scenes. So, Manson going back doesn't sound unlikely because of one thing: paranoia. Paranoid that Tex and co. left way too much evidence behind. Also, I go with Jay bleeding onto the rope that tied him over the beam. You know, my thoughts is that Tex, Sadie and Katie recall VERY little. That they took the stories fed to them and pieced it together for themselves, to help themselves understand. Tex has told about 6 different versions that I know of and I am convinced that he believed every one to be true. Look at the LaBianca scene; Tex for instance says he carved WAR on Leno. But Katie said she did (at one time). Why; because that info was fed to her and she used it to piece it together. I bet Katie or Tex doesn't remember who carved WAR. What puzzles me is that it does indeed look more like a smear - possibly from the rope - than a cast-off blood splatter. 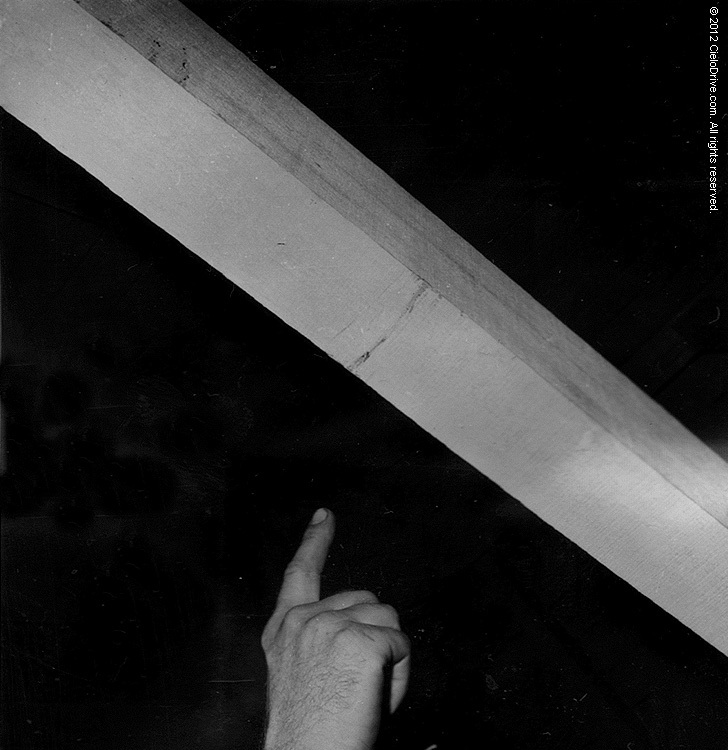 BUT, I can't imagine any scenario in which a bloody rope leaves a clear smear on the underside of a beam, but nothing at all on the side of that same beam. The laws of physics and probability suggest that we might expect to see such a rope smear only on the top of the beam, or on the top and the sides - but how is it possible for there to be a rope smear ONLY on the underside? Did the rope defy gravity somehow, or ... or what? Everyone look at this closely again!!! Stoner as I am- I have looked at this enough times to see there is a descrepency here in these photos..
Maybe there was some doctoring of the crime scene. But not what we thought- hard to explain this. Maybe it wasn't Charlie going back, and maybe it was law enforcement covering up for what they perceived as mistakes or sloppy steps in the initial investigation? BUT- these photos don't tell a true story because the blood stain isn't where the rope was hanging by their own photos... or they were even sloppier when photographing their own crime scene and allowed it to be moved and snapped pics in the wrong place?? which proves exactly what ?? I've never understood the part in Sanders' book where he says that Sebring, Sharon and Abigail struggled and begged for their lives after Jay had been shot and left for dead. Really? I found a youtube video where he actually says something about following Manson's instructions, and gathering everything, including a rope. A true mentiroso!! That picture is really bugging me. Why is the blood only underneath the beam? Also, why would there have been blood on the rope, if they tied them up first? Ahhh. Those photos clearly aren't adding up with the supposed sequence of events. I wonder if a blood spatter expert could study all the crime scene photos to determine what happened? Where is Dexter when you need him? 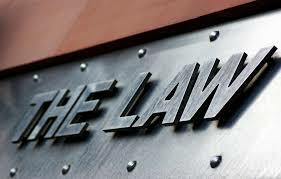 Yes, he decided not to talk to the parole board, when they were discussing his life crime his lawyer made a statement and said that he doesn't recall a rope. I just noticed your profile photo, Deb. I LOVE it! I don't think my cat could fit in a taco, maybe a burrito though. Nice!! Could Tex have got blood on his hands after killing Steve and when he picked the rope up got blood on it then ? I find it difficult to believe that Tex no longer recalls a rope. That seems very hard to believe that a person could forget that detail. No conspiracy theory intended. It was probably artistic licence. They go on to say that Watson re read his book and remembers a rope around the necks of Sharon and Jay. Does he need to check his book to remember what he done ? Why does hw admit actually stabbing, but denies the rope? It doesn't make it any less horrifying!! Tex should quit wasting his time appearing before a parole board. They will never let him out. Never! 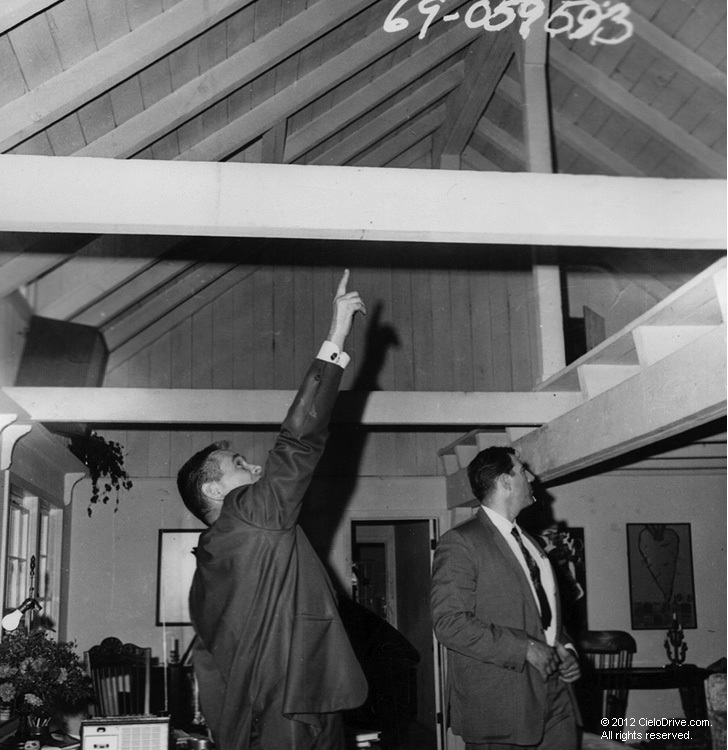 I know there wasn't DNA available in 1969, but couldn't the crime lab have tested the blood on the beam? At least it would indicate blood type. Something else I find baffling, Tex claims he turned the hall light off, he hit the switch with his elbow, this is the hall leading to the bedrooms. When the first police arrived in the morning they noticed that light was on and a desk light in the living room. So who turned the hall light back on ? It was probably a plug-in desk lamp and they realized that they needed to see a little bit, yet make it dark enough to scare the crap out of them. Just my guess.